It was always going to be a tough weekend of finals action for our Men’s and Women’s team after the 5 week home and away season. 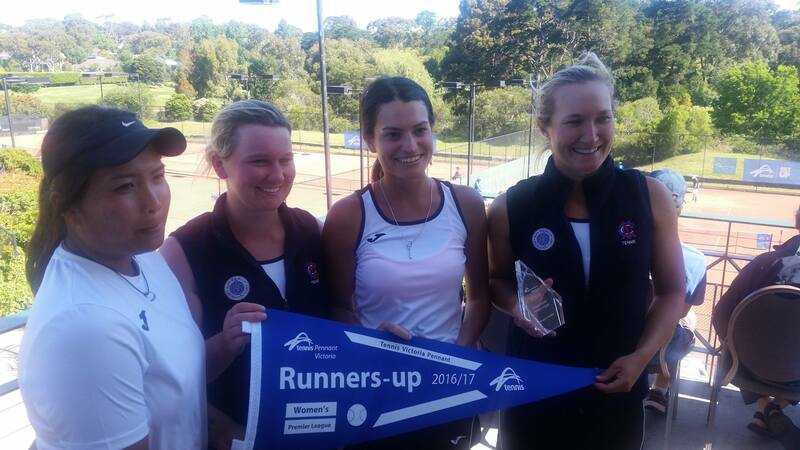 The women’s team went into the semi-finals against Kooyong without Jaimee Fourlis who was to play in the 18&U Australian Championships final the following day. Never the less the women’s team started strong in the doubles. Mary Ann Liu combined with Jess Brozozowska at number one and narrowly lost their match 7-6 6-3 after having set points in the opening set. Our captain Gen Lorbergs teamed up with Eliza Long for a 6-2 7-5 victory to tie things up. All four singles matches went on court at the same time and the first completed singles match was Gen Lorbergs who had a straight sets win 7-5 6-3. As she finished all other matches were in the third set which meant we needed one of the last three to secure a finals berth. Eliza Long got the job done again with a hard fought 4-6 6-2 6-0 victory to seal the over all win. Both Viktorija Rajicic and Jess ended up going down in three tight sets. 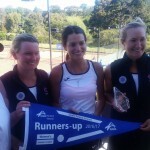 Sunday’s final saw our girls take on a Liston Tennis Club boasting three girls in the top 10 in Australia. Both our number one and two players, Jaimee Fourlis and Viktorija Rajicic, were unable to play due to Australian Open Wild Card play off events but our girls still went into the final knowing if they played their best tennis they could take it up to Liston. The doubles started with Gen Lorbergs and Eliza Long taking on Arina Rodionova and Jessica Moore at number 1. A promising start saw the girls serve for the first set but they didn’t take their opportunities and went down 7-5 6-1. Katherine Westbury combined with Jess Brozozowska to take the first set in their match. Liston then tied the match up at a set a piece and a match tie-break was required to decide the match. Liston go the better of the breaker winning 10 points to 5 to take a commanding 2 match to 0 lead. The singles saw a victory to world number 430 Alison Bai over Jess Brozozowska to seal the victory for Liston. The MCC GIV Tennis Club would like to thank all the girls who represented our club over the season; Jaimee Fourlis, Viktorija Rajicic, Zoe Hives, Genevieve Lorbergs, Katherine Westbury, Mary Ann Liu, Giorgie Jones, Jess Brzozowska, Eliza Long and Georgiana Ruhrig. We look foward to next season and trying to reverse this years finals result. The men’s team went into the Friday night match pitted against a Grace Park Hawthorn team looking for their 4th straight Premier League title. Our team did have a strong win against Grace Park Hawthorn in the home and away rounds but still went into the match as the under dogs with Blake Mott (number 1) and Lucas Vuradin unavailable due to the Tennis Aus December Showdown. Never the less we had a strong team on paper. The doubles started with Peter Luczak combining with Matt Reid against Frank Moser and Stephen DeWaard at number one. A high-quality match went the way of Grace Park Hawthorn in straight sets. The second doubles gain further importance and it went down to the wire. Aaron Addison & Daniel Ferretti came from behind to force a third set match tie breaker, but went down 6-3 6-7 10-8. 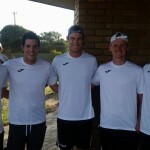 All fours singles matches went on together and saw Peter Luczak and Aaron Addison take the first sets in their matches. Unfortunately, Matt Reid went down in straight sets to James Lemke and Michael Shepheard lost to Daniel Nolan which meant the result went against us. Grace Park Hawthorn then meet Kooyong Lawn on Sunday at MCC Glen Iris in the men’s final and were able to capture their 4th title in a row. 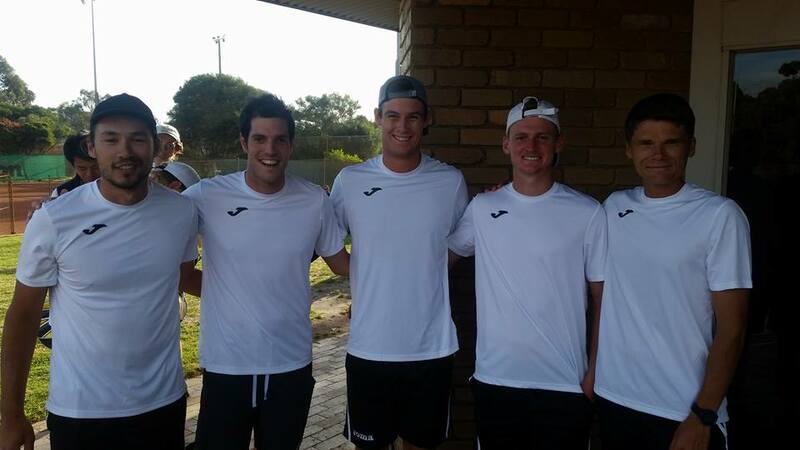 A great season by our men’s team and we look forward to the development of our junior players in the coming seasons. This was the first year in many we have fielded a men’s team and to be a contender is very pleasing. We thank all our men’s team players; Blake Mott, Matt Reid, Aaron Addison, Peter Luczak, Lucas Vuradin, Paul Kramberger, Daniel Ferretti (C), Chase Ferguson, Michael Shepheard, Michael Logarzo and Chanchai Sookton – Eng. Message from server: Not Found. Check in YouTube if the id VidaTennis belongs to a user. To locate the id of your user check the FAQ of the plugin. The MCC Glen Iris Valley Tennis Club is located on the Riversdale Golf course giving great views of the rolling fairways and tennis courts from the club balcony. All 12 courts are en-tout-cas in surface and the venue plays host to some of the largest tennis event on the calendar, such as the Federation Cup, Premier League Finals, AMT events and Junior JT tournaments. The club is a friendly members based club and welcomes everyone to be part of our tennis community.